Construction completed! 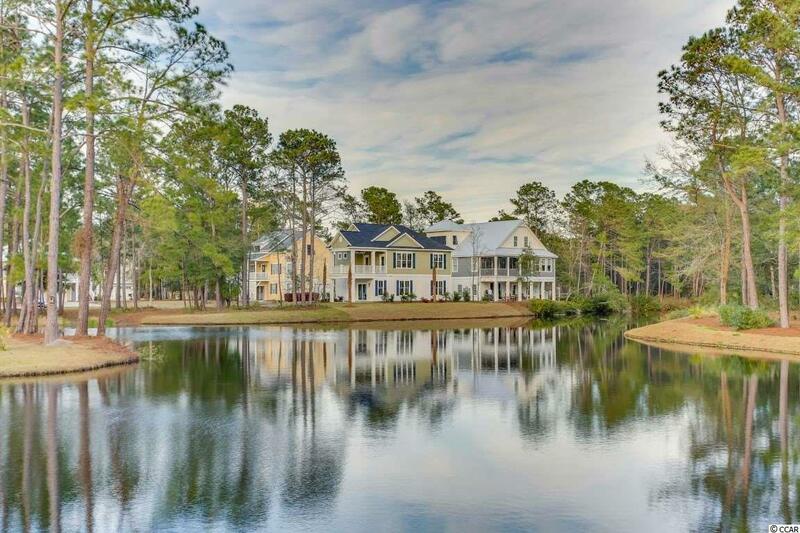 Just behind the gates and on the pond this newly built custom home offers one of the best views in the neighborhood. Thoughtfully planned this design takes into account and blends the living space and awesome views from both floors. 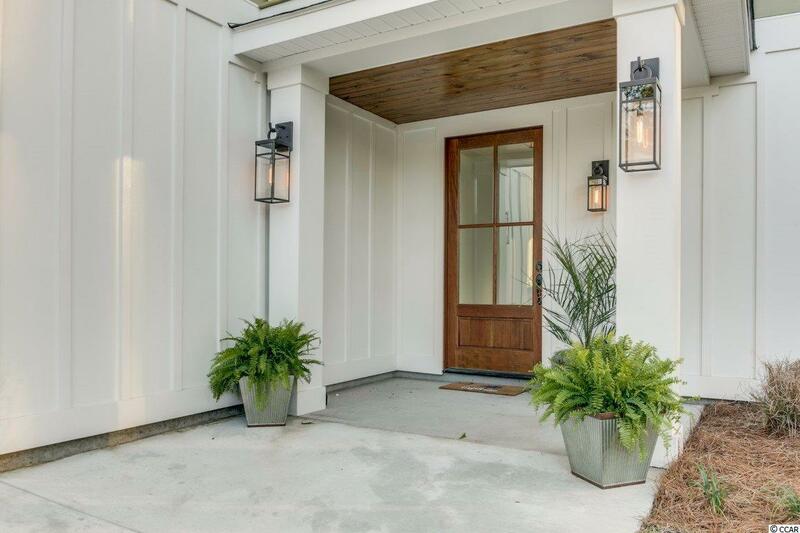 An oversized solid wood door welcomes you to the first floor featuring a large rec room, wet bar, two bedrooms, guest bath, and covered porch. The second floor offers a great room kitchen combination opening to the second floor covered porch. 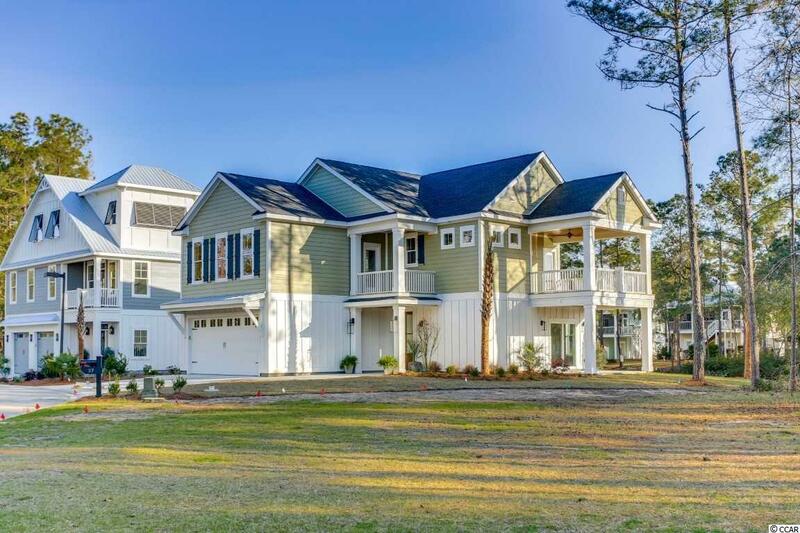 In addition the master suite has his/hers closets, bath with double vanity, and a covered front porch. Plenty of closets throughout as well as laundry room, half bath and a two car garage. 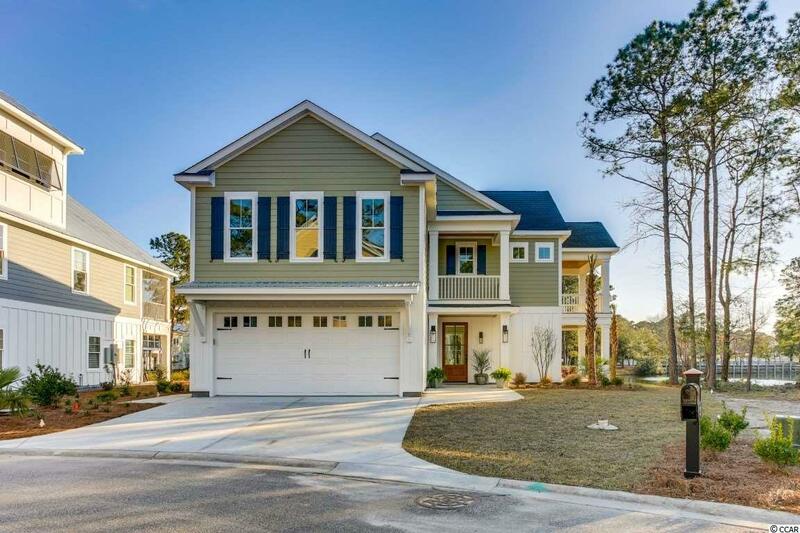 The Bays at Litchfield is a hidden gem yet centrally located with community pool. Bike or short golf cart ride to South Litchfield Beach.